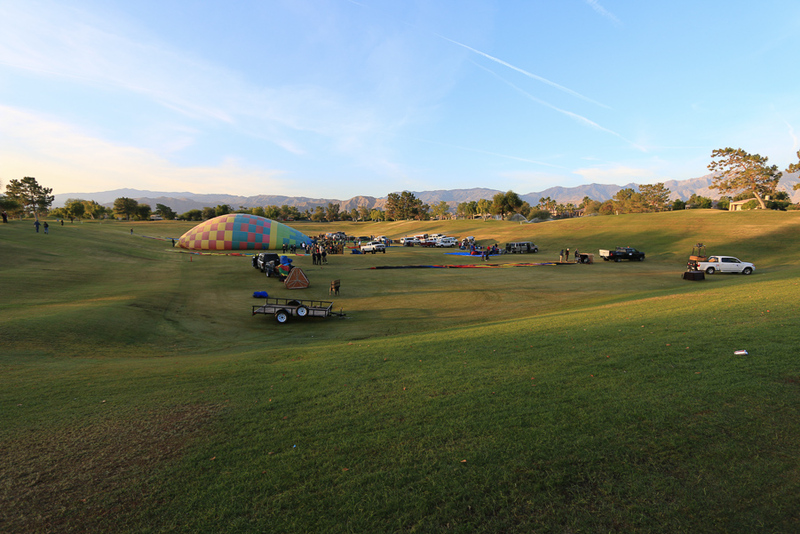 November 17, 2018 - We had to get up pretty early in the morning for today's adventure. 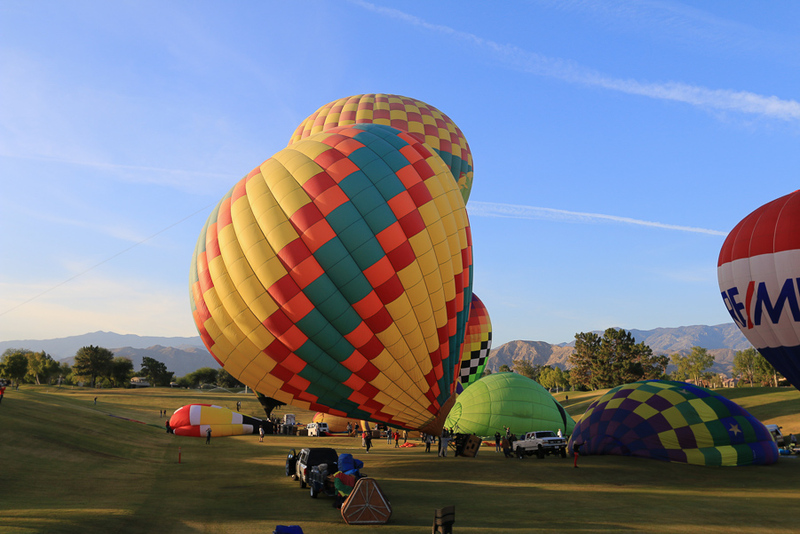 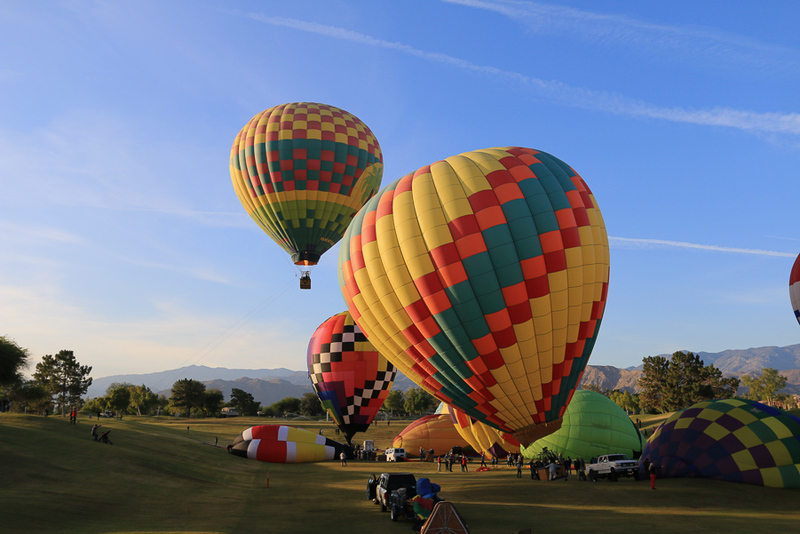 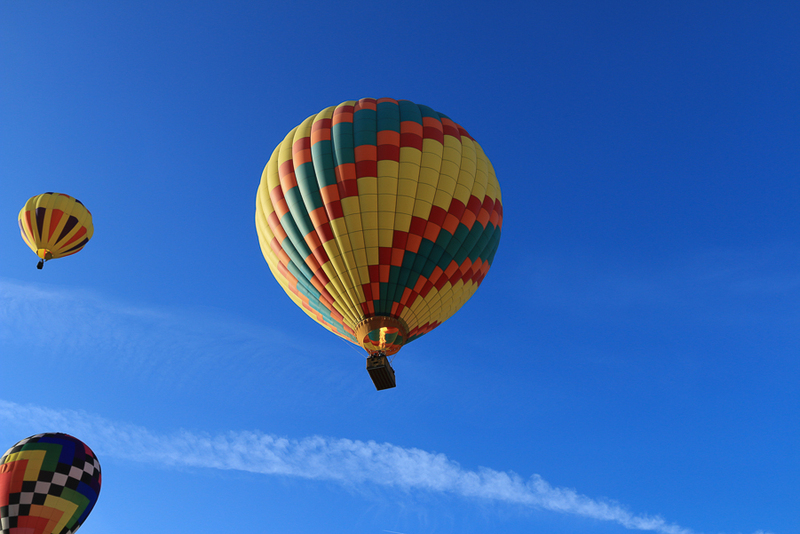 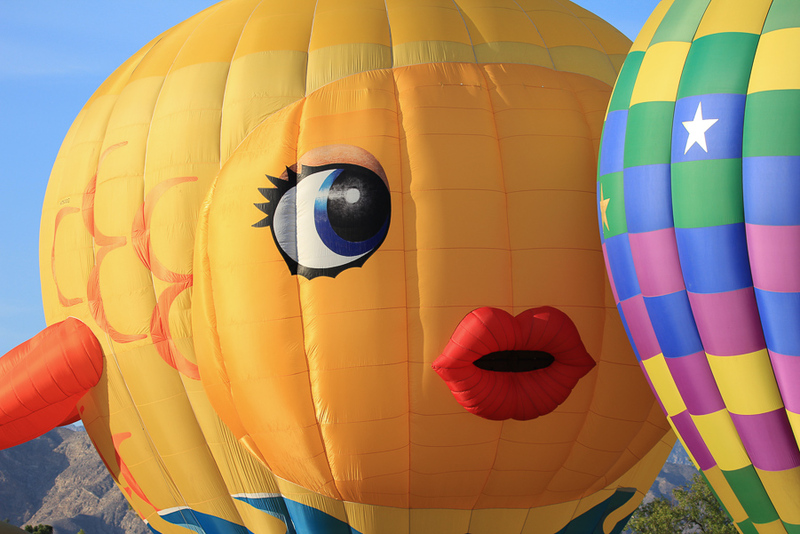 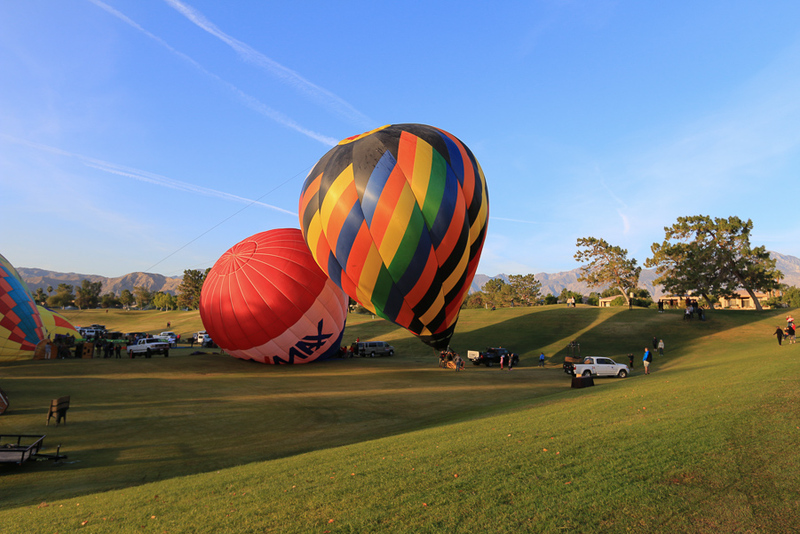 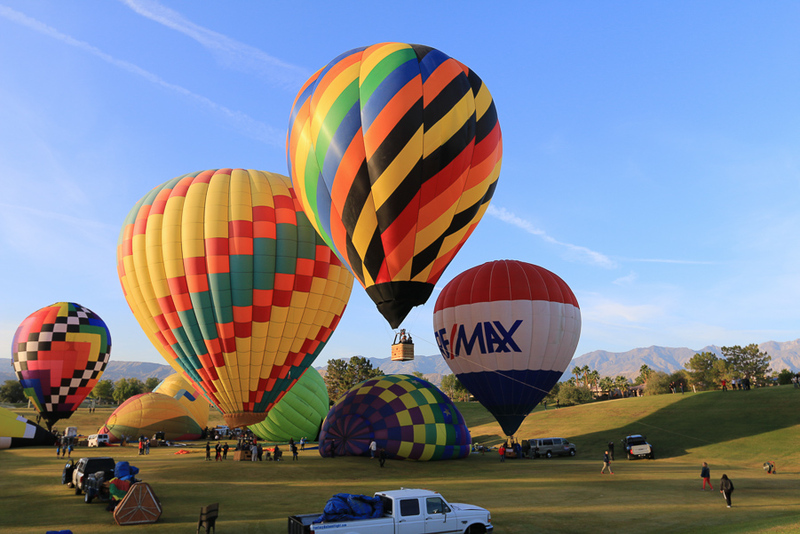 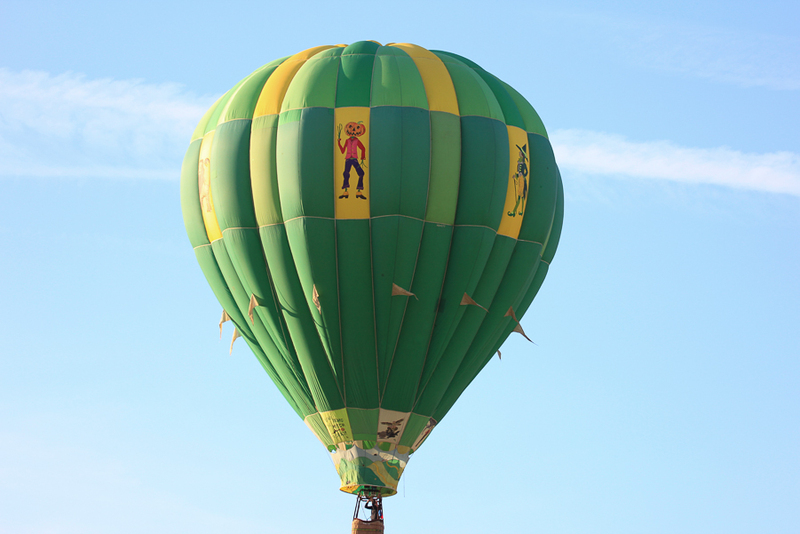 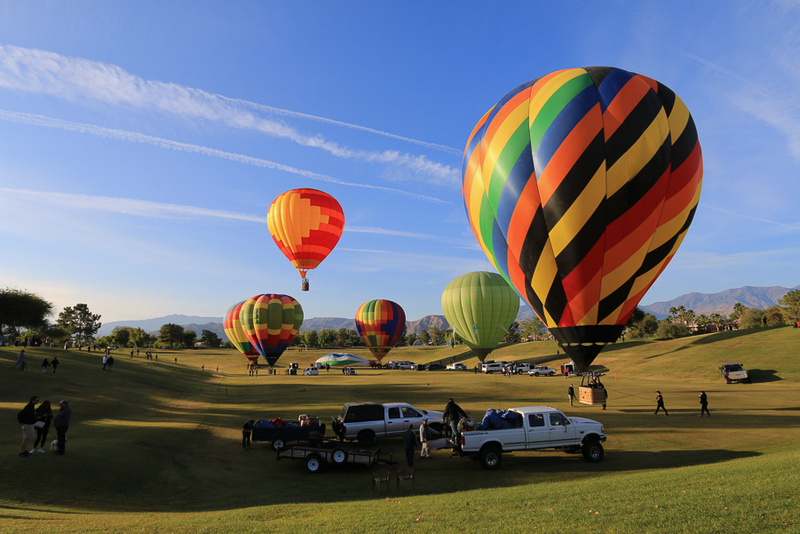 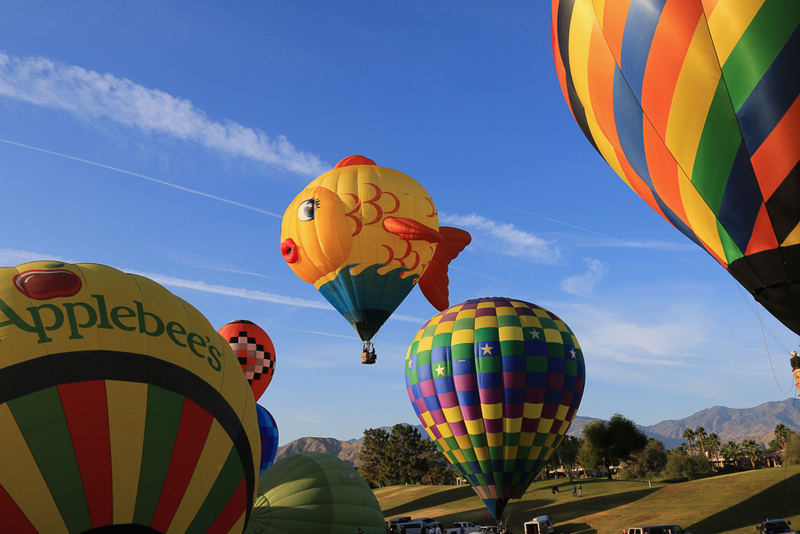 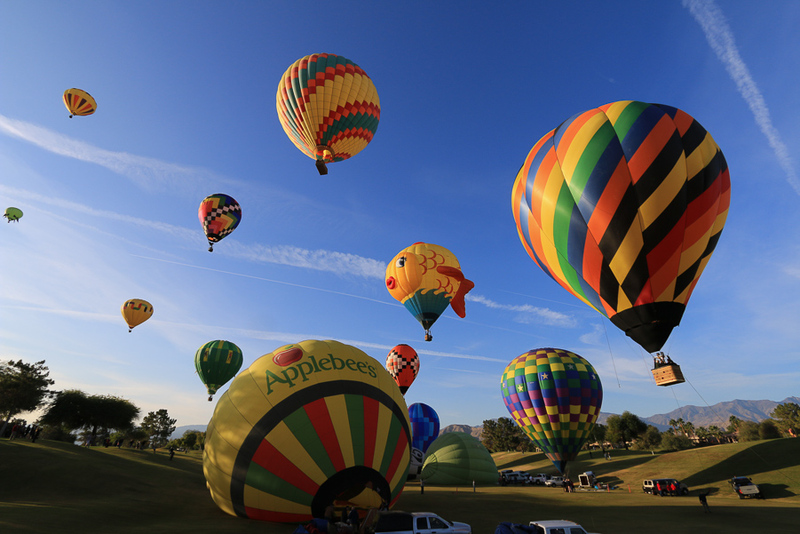 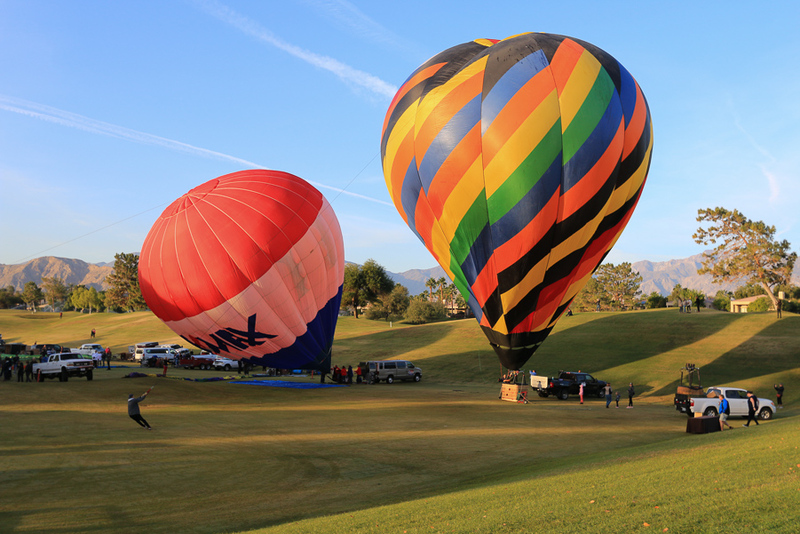 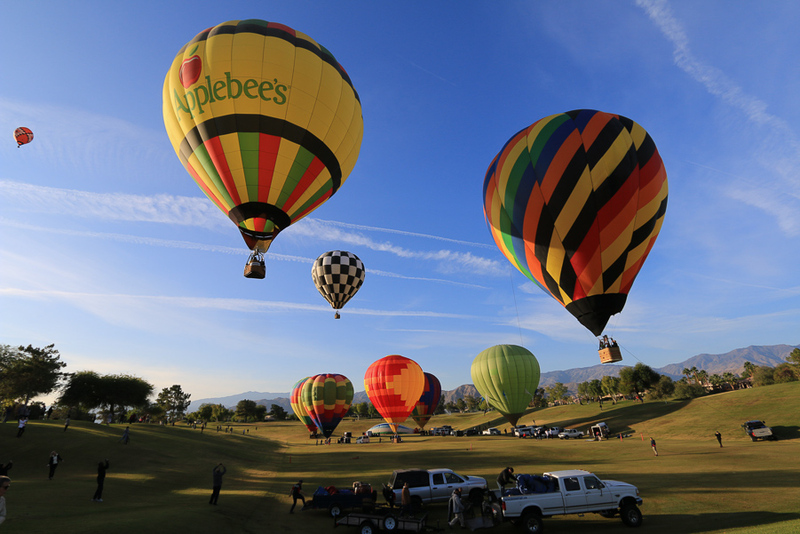 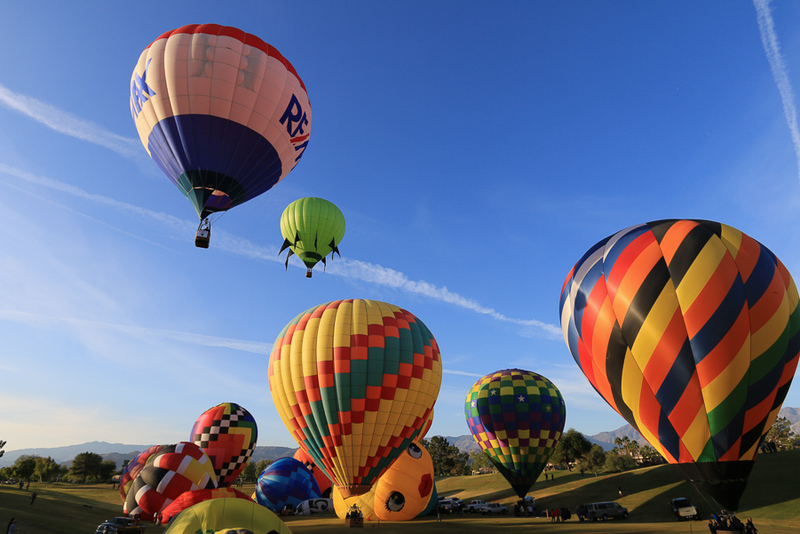 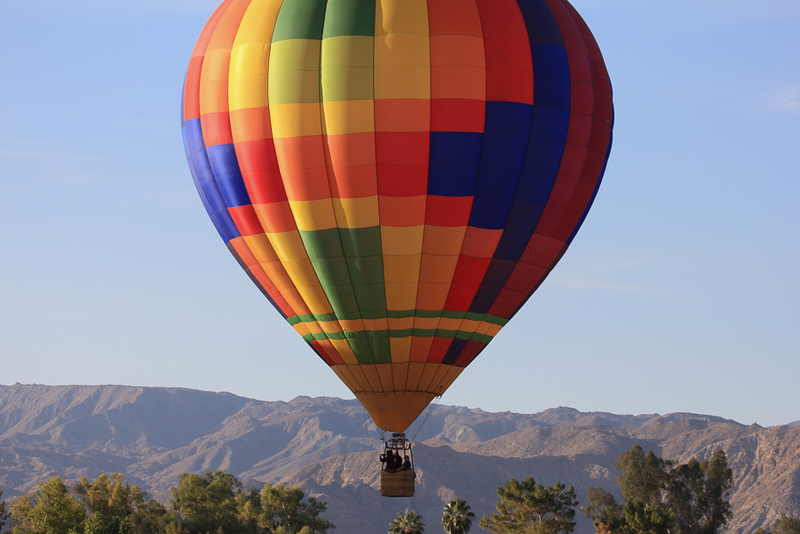 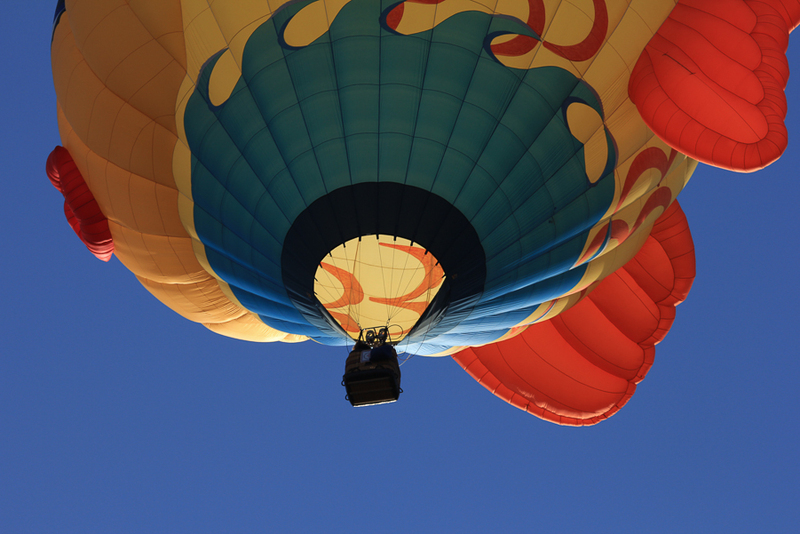 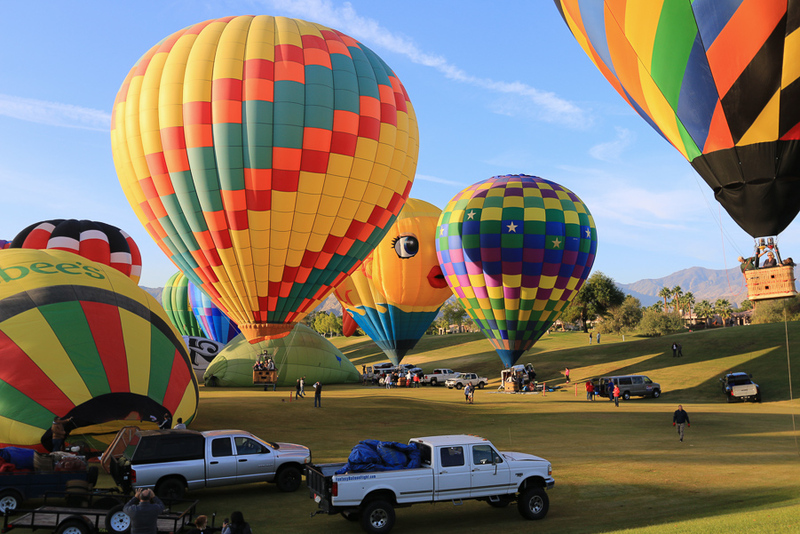 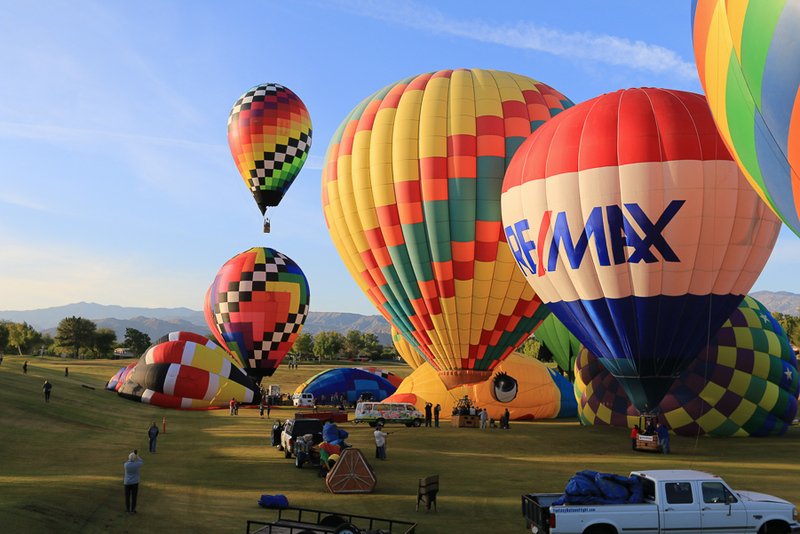 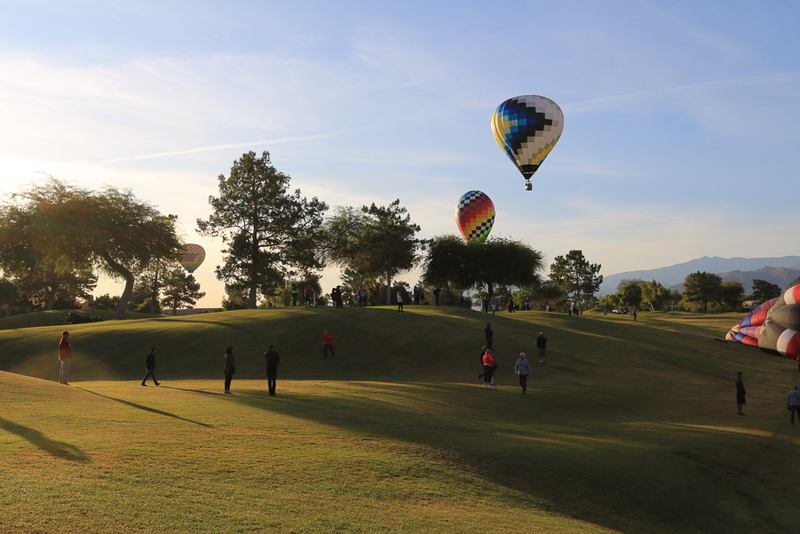 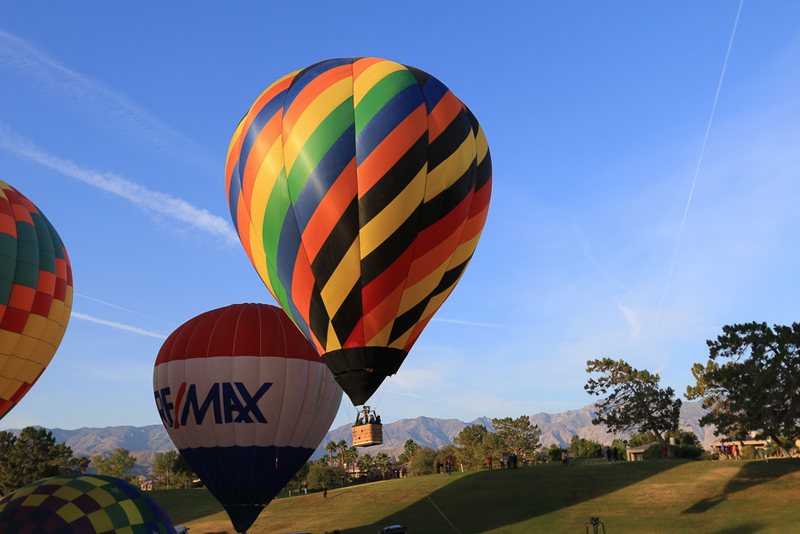 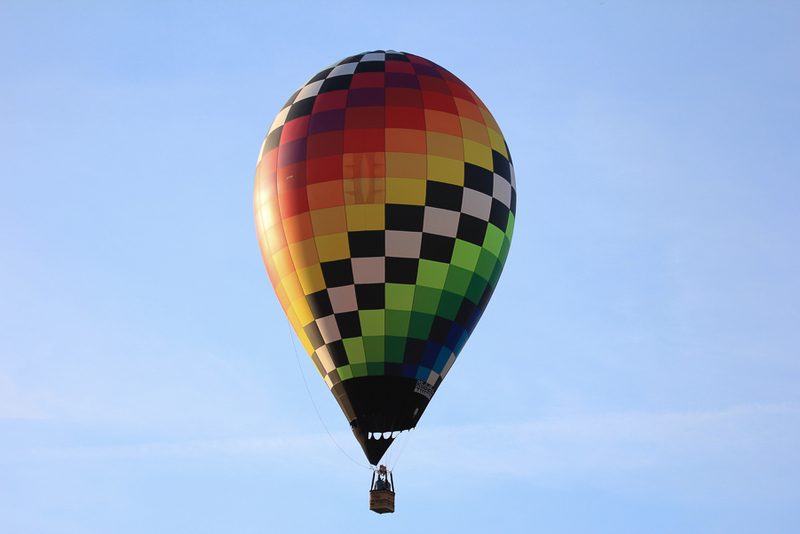 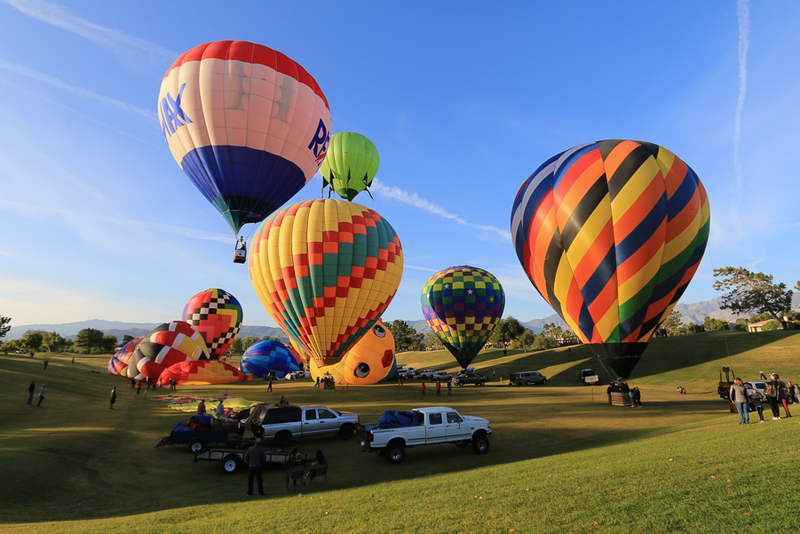 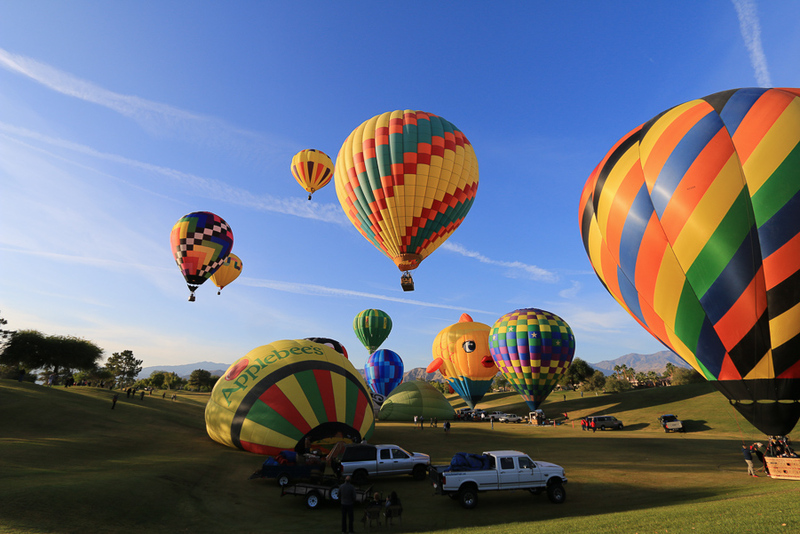 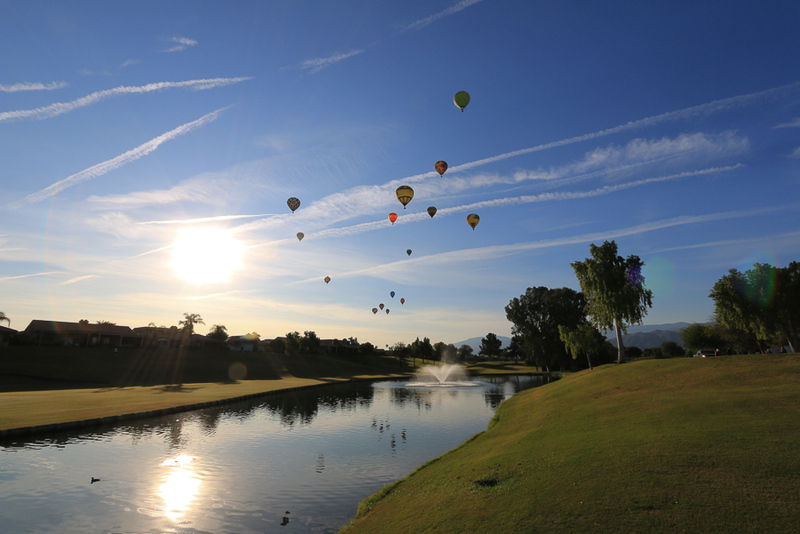 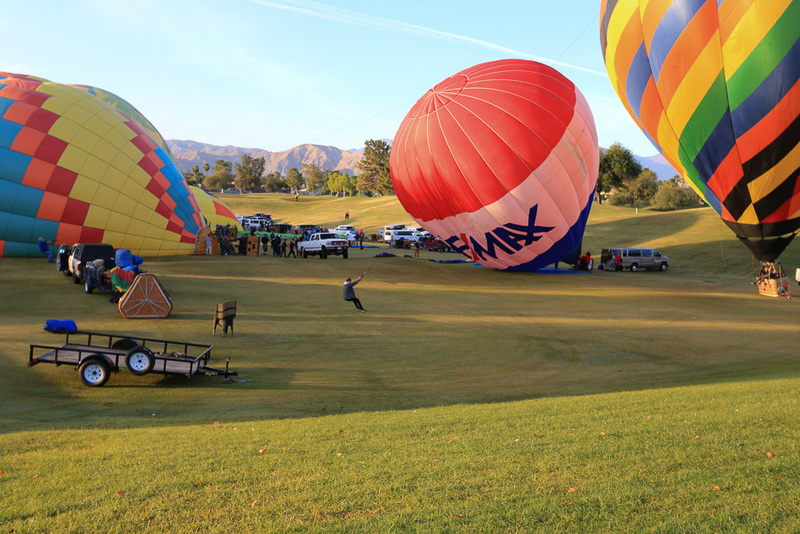 Since we haven't made the trip to Albuqueque, New Mexico to see their International Balloon Festival, we chose to stay local to see the 5th Annual Cathedral City Hot Air Balloon Festival. 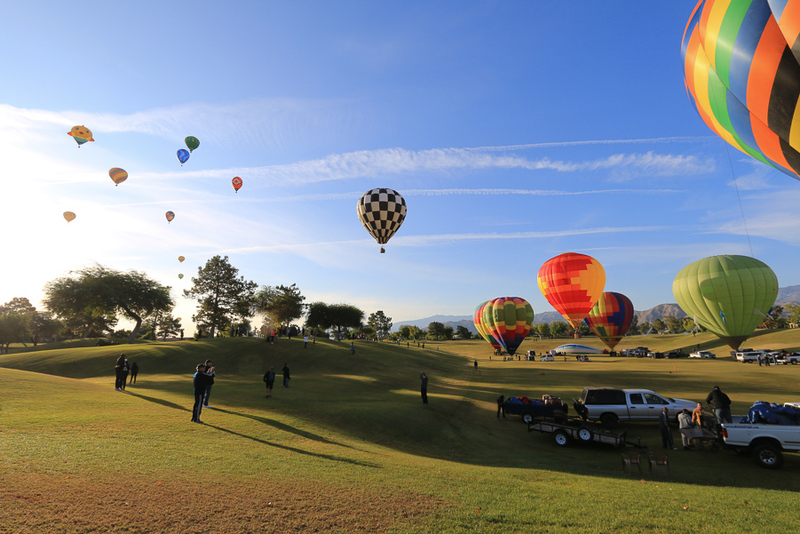 Located between Palm Springs and Rancho Mirage, Cathedral City is one of the nine cities of the Coachella Valley (Palm Springs area) in Southern California. 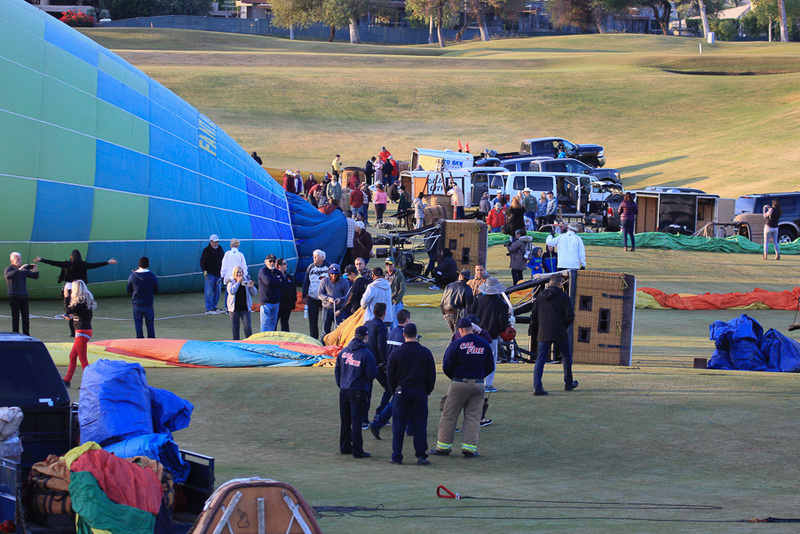 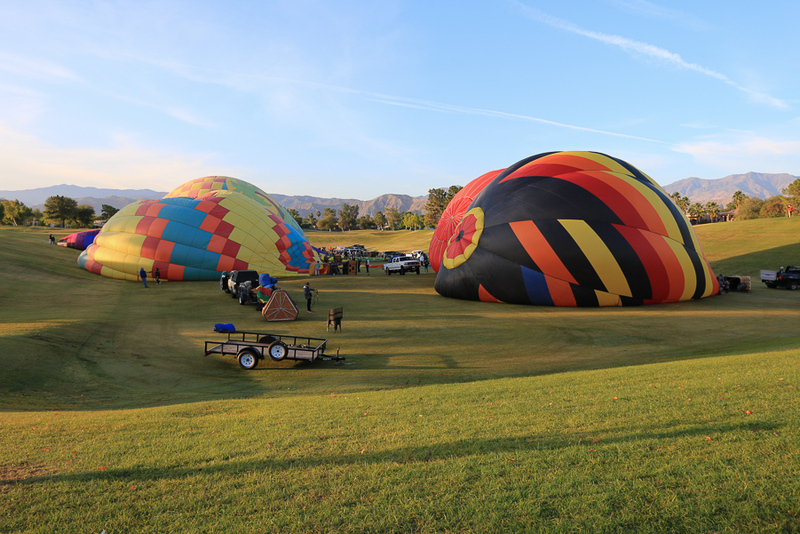 We left home at 6:00 AM, arrived in Cathedral City around 7:15 AM and watched them inflating the balloons. 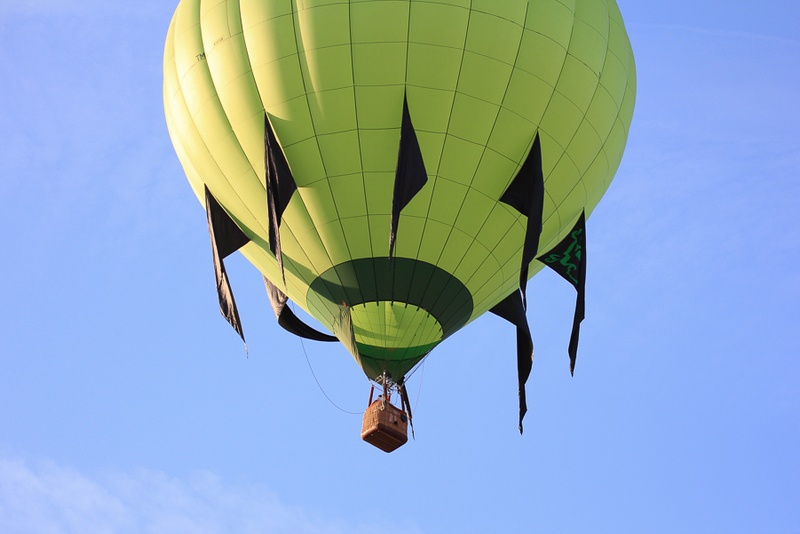 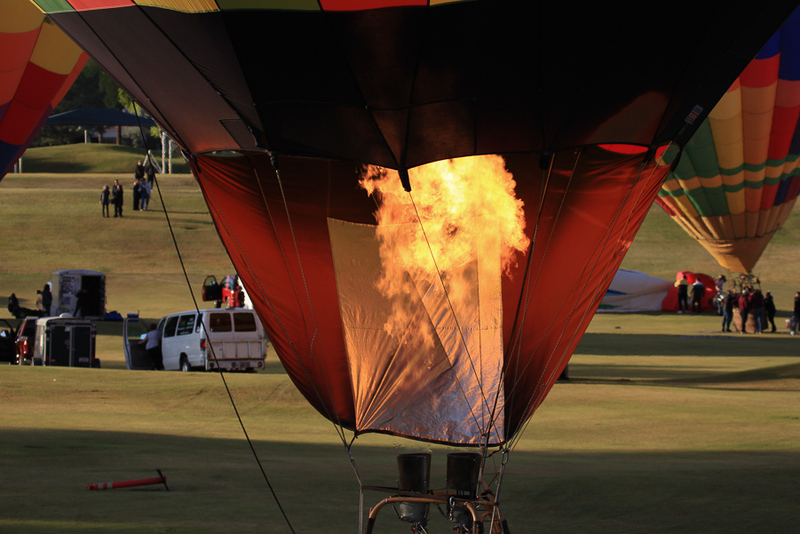 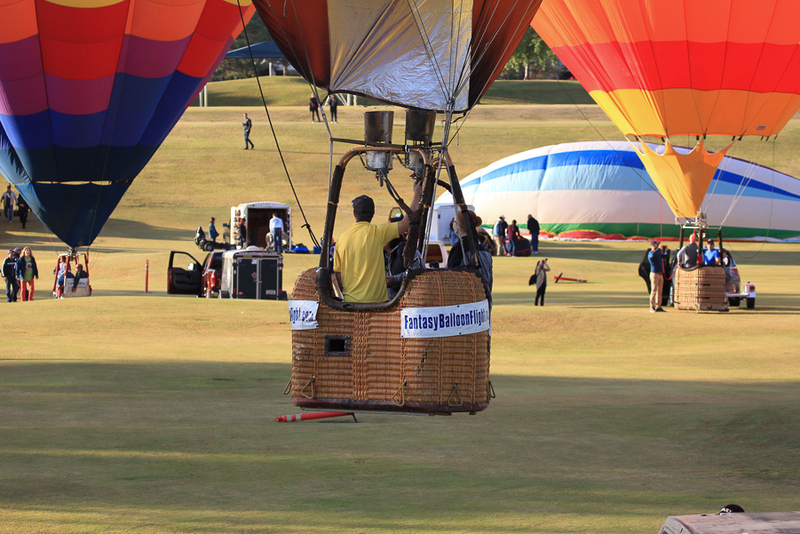 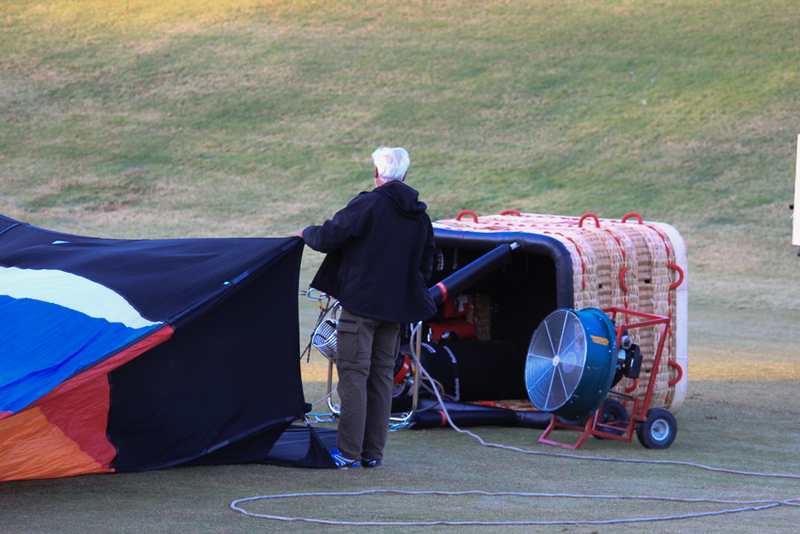 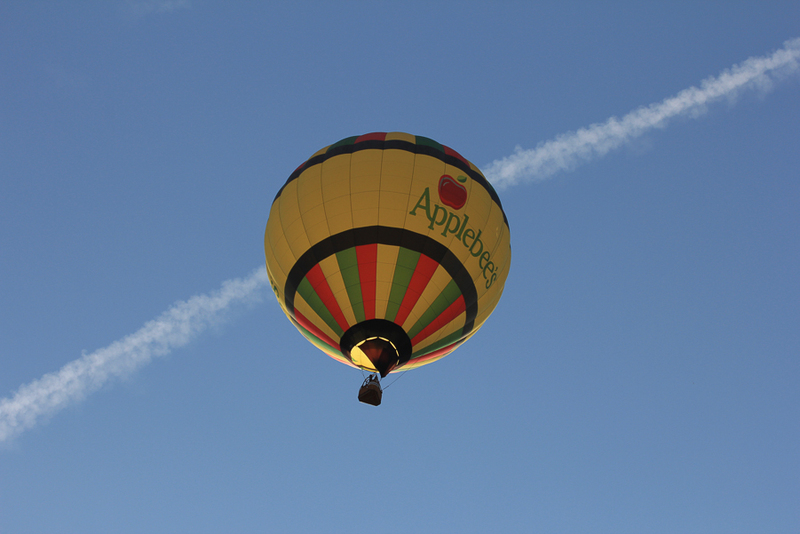 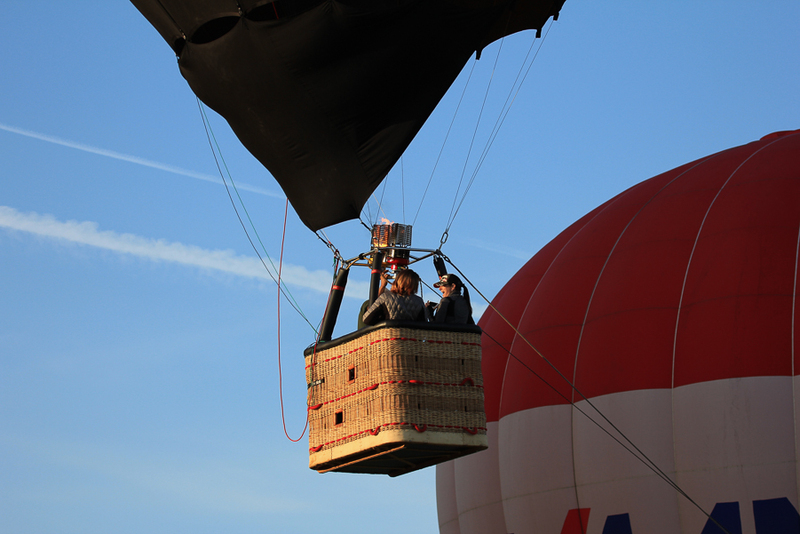 This balloon was tethered, and for $25.00, you could take a two or three minute ride. 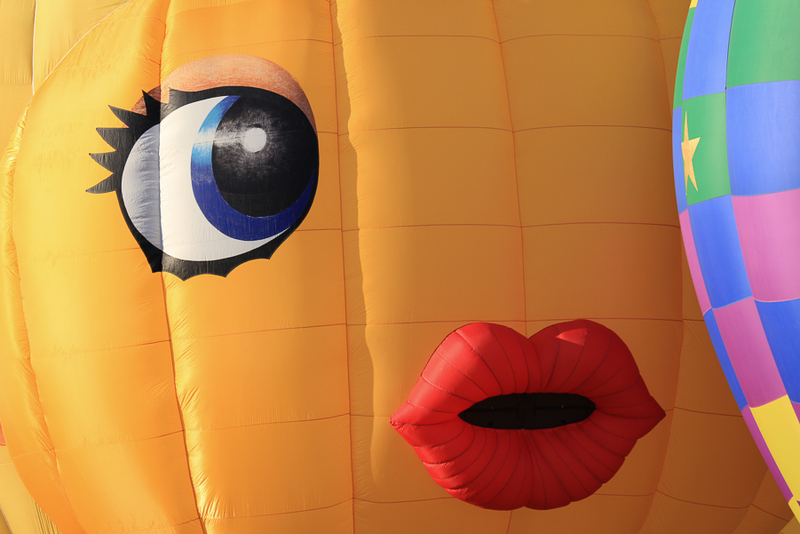 We loved the goldfish balloon. 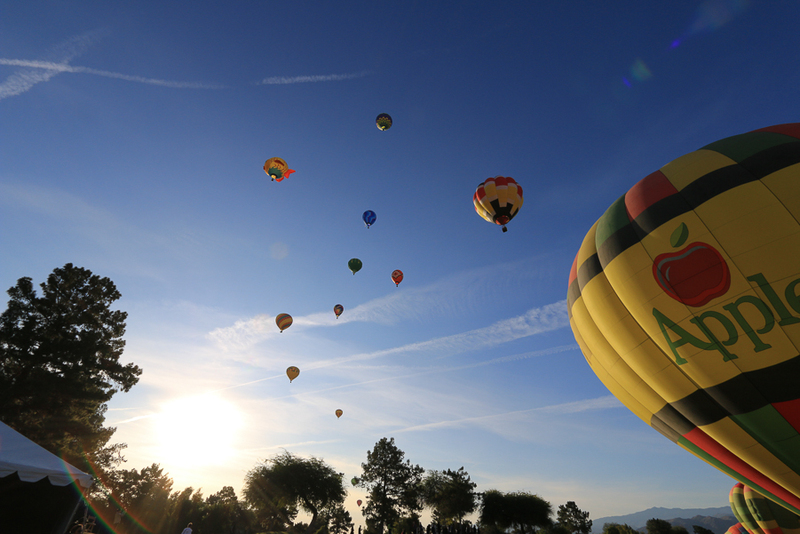 What an amazing sight on a beautiful California day. 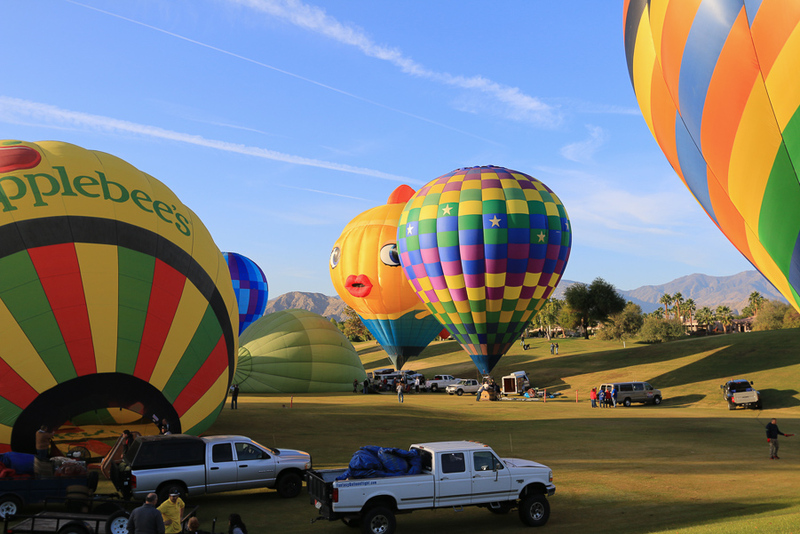 After viewing the balloons, we drove north to Palm Springs to eat at Elmer's. 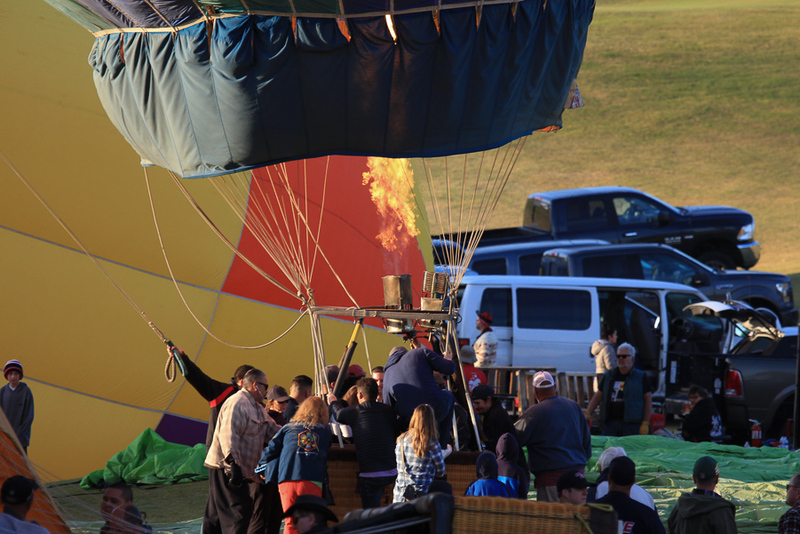 It's a very popular spot and we were lucky to get seated before the overflow crowd arrived. 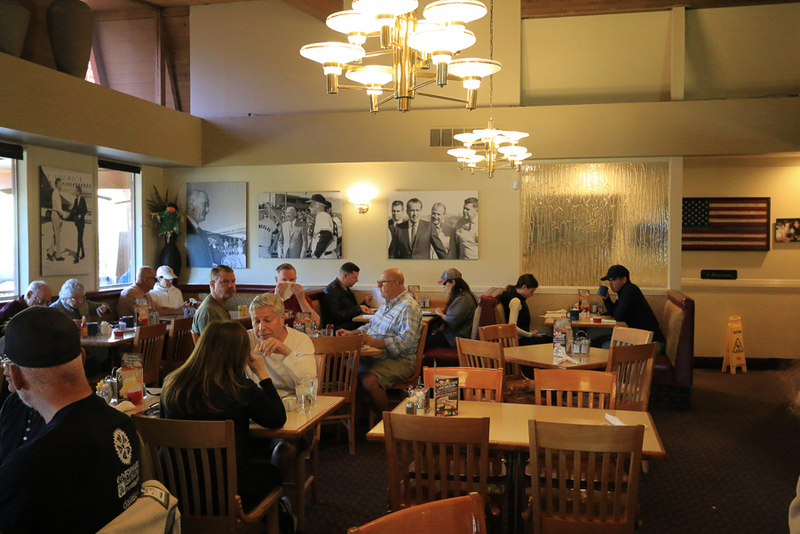 It's loaded with pictures of Presidents, the Rat Pack and other Hollywood celebrities. 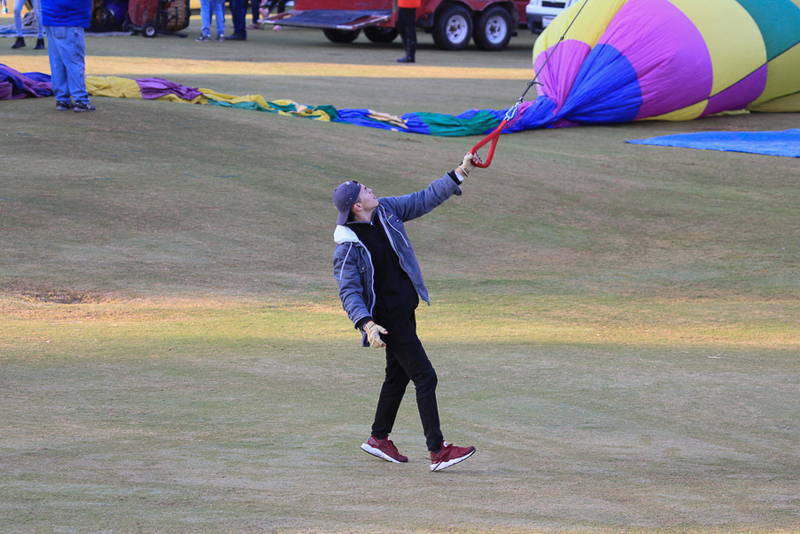 It's a fun place. 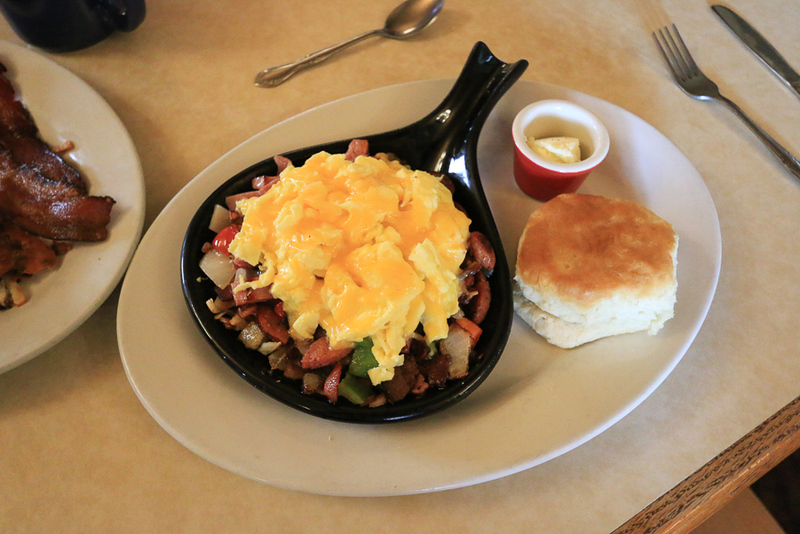 My breakfast was their "Saturday Market Skillet," hickory smoked ham, Daily�s� smokehouse bacon, Zenner�s� German sausage, northwest hash browns, peppers and onion. 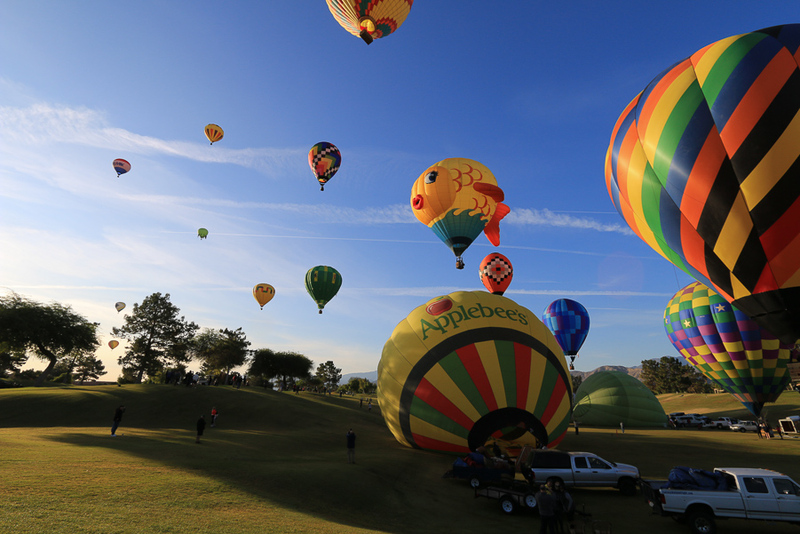 It's topped with Tillamook� Cheddar cheese-scrambled eggs. 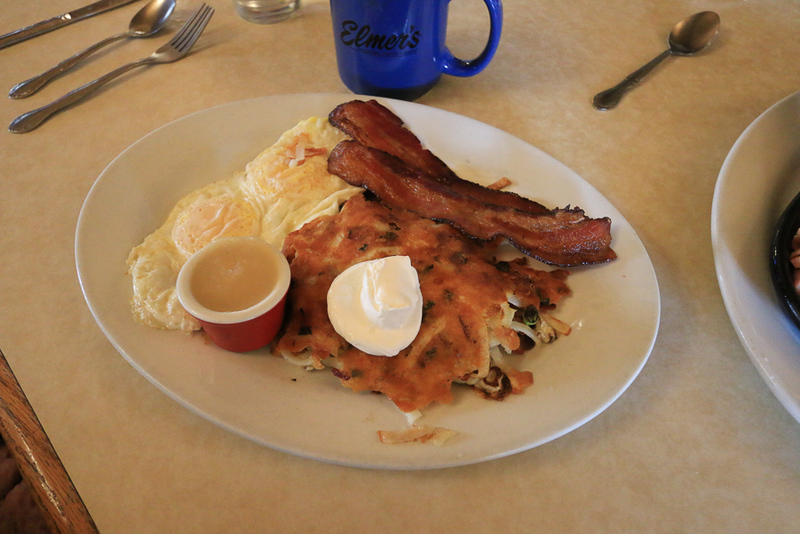 Judy had their "Bacon & Tillamook� Potato Cakes & Eggs," griddle-browned potato pancakes filled with bacon, Tillamook� Cheddar cheese and onion. 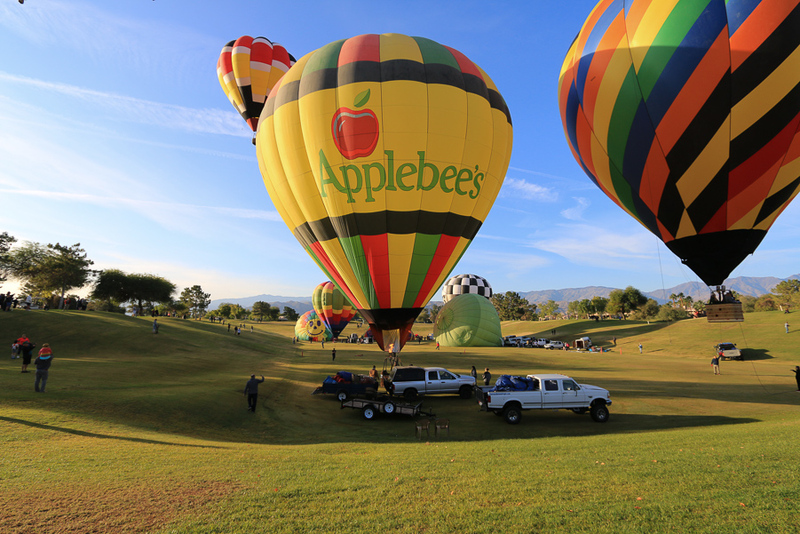 It's topped with sour cream and applesauce and is accompanied by two farm-fresh �AA� eggs.